Internet wunderkind Sean Belnick, 25, and a film crew spent parts of August and September last year with Friends of Firefighters, which is based in a former firehouse in Red Hook and provides free or low-cost counseling, yoga, acupuncture, social gatherings and other services for current and retired FDNY firefighters, military service members and their families. 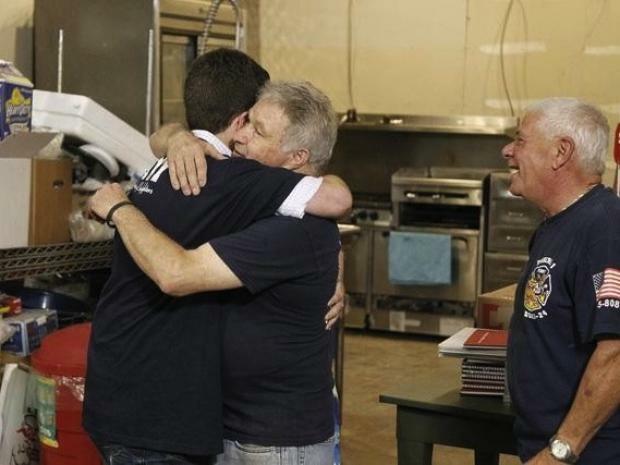 Belnick helped refurbish the firehouse's kitchen ceiling and prepare the organization's free monthly breakfast. Then, during a flag-raising ceremony one day before the 10th anniversary of the Sept. 11 attacks, he ended the ruse and presented a check to the organization. 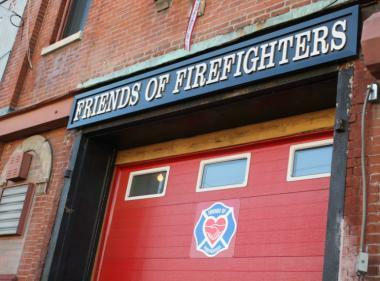 The Friends of Firefighters headquarters at 199 Van Brunt St. in Red Hook. "We almost dropped to our knees, we were so shocked," said Pete Calascione, 69, who retired in 1987 and spends about three days a week at Friends of Firefighters. "We were stunned. We were literally stunned." The results will be broadcast this Sunday, Aug. 12, on an episode of ABC's "Secret Millionaire," which airs at 8 p.m.
Belnick made his millions as the founder of office-furniture company BizChair.com, which he started in 2001 at age 14 with a $500 investment. By his 20th birthday, the company was earning more than $20 million. "When I look back at my life, I realize that I've been very successful and not given much back to the community and charity compared to how well I've done," Belnick told ABC. Belnick worked with the show's producers to find an organization to help, and as the 9/11 anniversary approached, he said he felt particularly moved by firefighters and the challenges they face every day. A few months later, he showed up at Friends of Firefighters. "When he did the breakfast, we yelled at him like he was one of us." Calascione recounted, "Tony's telling him, 'Flip it this way! Not that way!' I said, 'Tony, shh! We got a mic on here.'" On Sept. 10, Friends of Firefighters volunteers and staff gathered for the flag-raising ceremony on the sidewalk outside. A custom flagpole maker 300 miles north in Keeseville, N.Y., had decided to donate a wooden flagpole, topped by a brass eagle donated by a resident of Louisiana. For the first time since the firehouse closed in 1960, a flag would once again wave from the front of the building. "We never knew this guy before, and he's doing these things," retired firefighter and Friends of Firefighters volunteer Bill Hodgens, 59, said. "It's a lot for us, to be recognized." After the ceremony, attended by VFW members from Post 5195 down the street and a Navy SEAL from upstate, Belnick walked over and handed something to the retired firefighters. "I thought he was giving us a copy of the film," Catapano said. Instead, it was a check. ABC requested that the exact amount not be revealed until the episode airs, but it was substantial. "It meant a lot to us. We run off of grants and donations," Friends of Firefighters operations manager Meghan Zichelli said. "We were able to cross a lot of things off our list last year." The money went toward badly needed computers and database software, a vent-hood for the kitchen downstairs and renovations to the firehouse's bathrooms. "These things all made a huge difference," Zichelli, 28, said. The donation also funded day-to-day expenses such as the organization’s yoga instructor, therapists and rent. The firehouse is not a city building and is privately owned. The show, Zichelli hopes, will help viewers “recognize the need that firefighters have 10, 11 years after 9/11, and it's a need throughout the country. Hopefully it'll get people to start this in their own communities. It'll show people a side of FDNY that they don't know."